The Band-rumped Storm-petrel occurs throughout the year in all the Portuguese EEZ. Although it has a markedly pelagic behaviour, is possible to be seen from land as some birds approach the coast. There are two population types of Band-rumped Storm-petrel that have distinct morphology, breeding phenology and vocalizations. The “summer” population breeds from March to October, with the few known colonies located in Madeira archipelago; however, there are audio records of individuals of this “population” in Berlengas (Magnus Robb). The “winter” population breeds between September and February, in Farilhões Islets (Berlengas), Madeira and the Azores. In Portugal, the breeding population is listed as Vulnerable (VU). In Berlengas, the Band-rumped Storm-petrel nests mainly in Farilhão Grande, and only recently occupied nests were found in Farilhão da Cova and Farilhão do Nordeste. In Farilhão Grande, the breeding population was estimated at about 200 to 400 couples in 1995 and 102-210 couples in 2012, suggesting a decrease that in reality may be due to different methodologies used in the two censuses. One of the goals of LIFE Berlengas is to better estimate the size of the breeding population in the archipelago. The Band-rumped Storm-petrel nests in small cavities or in rocky crevices on islands and islets without predators, or in inaccessible cliffs. The lack of cavities for nesting or the poor quality of those available (e.g. exposed to predation of gulls) may be a constraint for the Band-rumped Storm-petrel; therefore 60 artificial nests will be built in Farilhão Grande and Berlenga Island. The presence and introduction of predators like the black rat, increased pressure from natural predators and human disturbance are the main threats to the conservation of this species. To search for food, this storm-petrel travels great distances, even during the breeding season. A bird marked with a geolocation device (GLS) flew up to the coast of Morocco for foraging between 23 and 28 November! 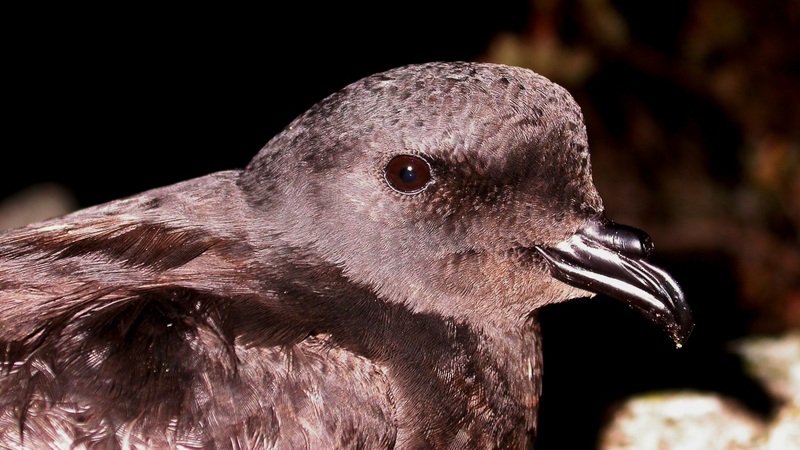 Madeiran storm-petrel feeds on small planktonic crustaceans, small fish and cephalopods, and can take advantage of the remains left by other marine predators as well as from fisheries discards. The interaction with fishing vessels constitutes a threat to the conservation of the species due to the risk of mortality from bycatch in fishing gear. In LIFE Berlengas we will study and characterize the vital foraging areas of Band-rumped Storm-petrel breeding in Berlengas by deploying GLS devices in 40 birds.